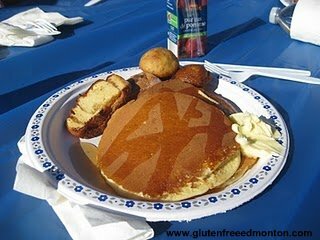 The 2011 Gluten Free Pancake Breakfast in Edmonton is July 23! A feast from the 2010 breakfast. 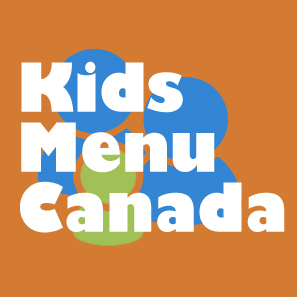 Its been a yearly tradition for the Celiac Community in Edmonton for the Celiac Association and Kinnikinnick to host a gluten free pancake breakfast using their amazing gluten free pancake mix. The 2011 pancake breakfast is only a couple weeks away and I can't wait! Mark your calendars for July 23, 2011! Bring the kids, bring the entire family! Don't miss out on this years goods. The breakfast is scheduled to run from 9 to 12. 5 bucks gets you your meal and of course all proceeds go to a great cause! Kinnikinnick also has an active show kitchen that will be featuring gluten free mini lemon tarts with a blueberry compote. 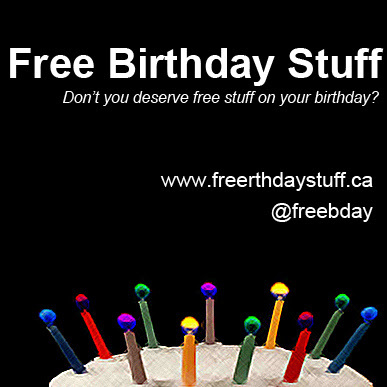 Also look out for some great deals that day in the store. Hi, just so you know the Celiac Association's links are still at 2010 dates, not updated for this year. And I am assuming the breakfast is still at the same location as last year - Kinnikinnick's. :) We don't want to miss it this year and looking forward to a yummy breakfast like shown above. I added the address to the article. Holy wow, Green Papaya in Toronto is awesome! Who doesn't love Peanut Butter and Chocolate?